When you read the Bible many times you will see something that has several names. The name of God is something that changes based upon certain attributes. Sometimes the names of people, places and things change as well, based upon translations. Once such thing is the name that the Bible has for the God’s people, whether they are unbelieving Jews or believing Jews and Gentiles. Here are some other names for God’s people that I have found in the Bible. Isn’t it amazing how many names for God’s people are found throughout Scripture? God’s people must be pretty special, since they are mentioned in so very many ways! 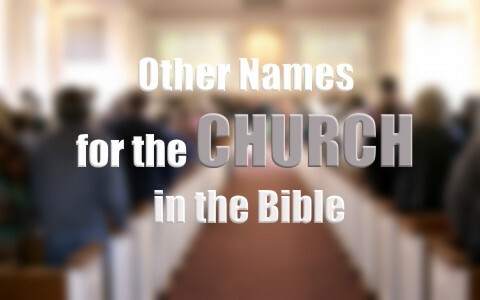 Note: When I originally posted this article I used the title “Other Names for the Church in the Bible”. Once I published it I was unable to change the title. I think a better title might have been “Other Names for God’s People in the Bible” because I do not subscribe to the idea that the Church has replaced Israel. Therefore, for the purpose of this article I am including the unbelieving Jews and the believing Jews and Gentiles because all of these names do indeed appear in the Bible. Previous post: Why Do Christians Act So Un-Christian?